Who's Side Are You On in "Captain America: Civil War"? The newest outing in the Marvel Cinematic Universe does everything but disappoint. It's a candy colored slug fest like many of its predecessors, except this one adds a bit more depth to the concoction. 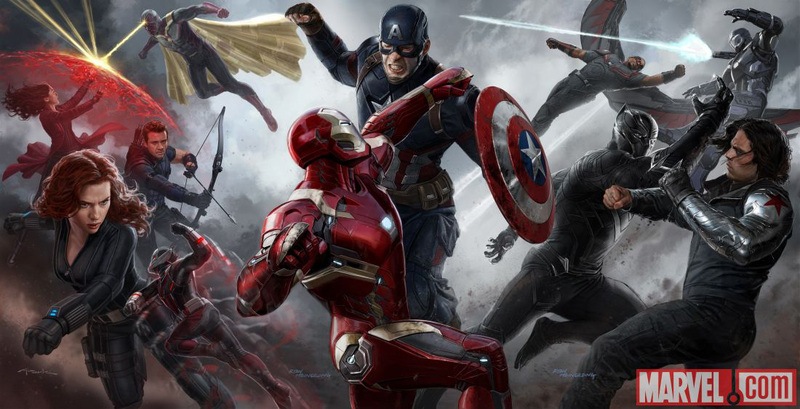 Captain America: Civil War picks up roughly a year after the events of Age of Ultron. The Avengers are doing what they do best, but public discord and political pressure force the world and the Avengers themselves to take a second thought at what their actions cause. Similar to the discontent seen in the recent Batman v Superman (there's a lot to compare with this film), it's the collateral damage caused in the first Avengers film and in Age of Ultron that causes our new debate. In fact, there is a moment at the beginning of the film where the Avengers are shown all the destruction they've caused in the past few years. It's quite a blow to all of them who carry quilt so quickly. Secretary of State Ross (William Hurt) demands accountability from them and presents "The Sokovia Accords". Captain America believes free to defend humanity without government interference, while Iron Man supports the sanctions. The issue deeply divides the gang, add to that what appears to be an attack created by The Winter Soldier (Sebastian Stan). Captain America goes in search for his friend and its here that we get to see civil war. One thing Civil War does very well is developing the discord and the character motivations in an organic and realistic way. Seeds of disagreement have littered all of the recent Marvel outings, but this one cements them and shows the consequences. Friend fights friend and what we get is a rather thoughtful rumination in superhero film. Who is right? Where do we draw the line and how much freedom must be sacrificed? While this doesn't seem that hard to do, as we've seen with other superhero movies (I'm looking at you Batman v Superman), it's not as easy as it seems to write a story line with sense. The trouble between the Avengers doesn't come out of thin air, it grows and expands making the dilemma seem very real. The script if one of this movie's biggest asset. 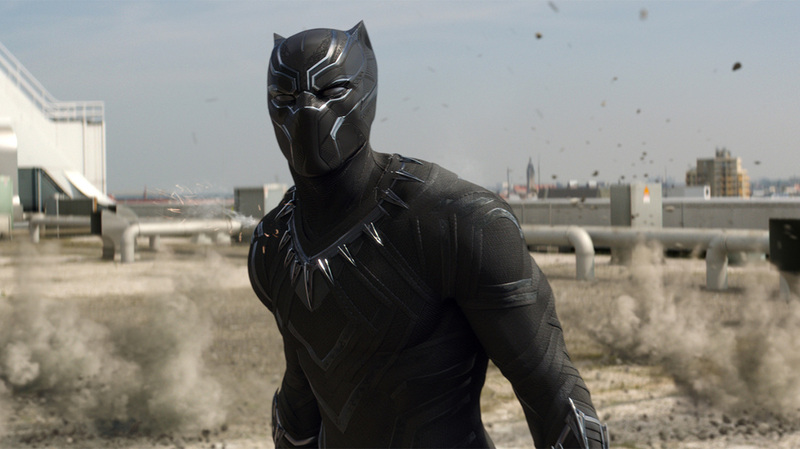 One character to keep an eye on is Black Panther (Chadwick Boseman). His character goes through the best arc in the whole film and Boseman plays him incredibly well. He's a newby that doesn't act like one, and brings a strength to a character that's unknown, but interesting. His stand alone film should help to cement his awesomeness. While Civil War does have its flaws, they aren't enough to make the outing any less enjoyable. It tries to be serious at the right moments and brings in comedic relief at the right time (brought to you by the amazing Paul Rudd as Ant Man). Civil War does what Batman v Superman did wrong, which is going to the dark side and forgetting that superhero movies should also be fun. This is like pancakes. Sweet buttery pancakes with espresso. You have the sugar and the bitterness all combined to make it a good combo. Despite the bitter coffee, the sugary goodness makes up for any flaws.